Bharat Petroleum Corporation Limited, Hindustan Petroleum Corporation Limited and Indian Oil Corporation Limited etc. are the main diesel and petrol selling companies in India. These companies allocate petrol pumps to dealers across India and sell petroleum products. This article will point out that how the license of petrol pumps can be obtained in India, which process has to be completed and how much investment is required to open up the petrol pump. It is worth to mention that India currently has 63,674 petrol pumps, most of them with public sector firms. Almost 27,377 of these belong to Indian Oil (IOCL), 14,592 belongs to Bharat Petroleum (BPCL) and 15,287 belongs to Hindustan Petroleum (HPCL). Ahead of general elections 2019, public sector oil companies planning to allot about 65,000 petrol pumps across the country. IOC has advertised for setting up 26,982 more in states, BPCL will add 15,802 outlets and HPCL would add 12,865 petrol pumps in its network. A new eligibility criteria have been prepared to promote transparency in the licensing process of the petrol pump. According to the new procedure, if you pass the first stage of pre-requisite qualification criteria, then only you will get admission in the second phase. So let us know what is seen in the selection process of the first and second phase. 1. The applicant must be an Indian citizen and if he/she is Non Resident Indian i.e. NRI then he must live in India for at least 180 days. 2. Age of the applicant should be between 21 to 55 years (applicants from freedom fighters category are exempted). 3. In order to give the correct proof of age, the applicant shall have to enclose a photocopy of the 10th mark sheet. 4. If an applicant resides in the village and belongs to the SC / ST / OBC category then it is necessary to be 10th pass but the applicants of the general category must be 12th pass. 5. If someone wants to open petrol pump in urban areas, then he/she should be graduate. 6. In the case of freedom fighters, the criteria of minimum qualification is not applicable. If somebody get clearance in the first stage of eligibility criteria then he enters in the second stage. If petrol pump is to be opened in rural areas then a minimum of Rs. 12 lakh will be required, but if it is to be opened in the urban areas, then at least Rs. 25 lakhs will be required. Only 60% of the value of Mutual Funds, bonds and shares will be considered for eligibility criteria. 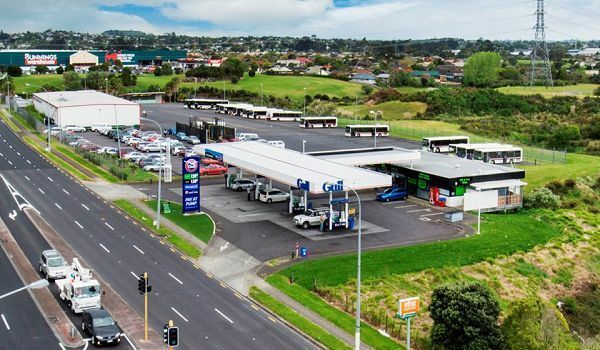 The land is an important criterion for selecting petrol pump dealers. The applicant should have a land in the area or you can take it on lease for a minimum time period (mentioned in the notification). The applicant has to produce different types of documents to prove the ownership of the land. Oil marketing companies scrutinize the location before allocating the petrol pumps. Companies want to check whether the location will be helpful in generating more sales or not. Sometimes the oil marketing companies open tender for particular locations where the petrol pump is to be opened. Generally oil companies prefer to open the petrol pumps near the State Highways, National Highways and busy market areas. Normally, for a petrol pump, 800 square meters to 1200 square meters (for highway) is required. Currently, the license fee for petrol pump is Rs. 18/KL for Motor Spirit and Rs.16/KL for High-Speed Diesel for dealer owned “B”/“DC” site Retail Outlets and Rs.48/KL for Motor Speed and Rs.41/KL for High-Speed Diesel for a corporation owned “A”/“CC” site Retail Outlets. The application fee is Rs.1000/- for regular retail outlets and Rs.100/- for rural retail. The applicants belong to SC/ST categories can get 50% concession on the application fee. The applicant needs to pay the application fee through demand draft. The application fee is non-refundable. One applicant can apply for just one location only. If land is owned by the dealer then the applicants have to pay a non-refundable fixed fee of Rs.15 lakhs for regular retail outlets and Rs.5 lakhs for rural retail outlets. First of all, applicants have to see the advertisement given in the newspapers by the oil marketing companies. These ads are also published on the website of oil companies. These advertisements also state where the oil companies want to set up a petrol pump. Interested candidates can apply online for a license to open petrol pump in the desired state/city/region. When the oil company receives a large number of applications, it announces the name of the winner through the lottery system and whose name comes out in the lottery; he/she has to submit all related documents with the oil company. Note: After getting the license of Petrol Pump, the applicant will have to register for paying the Goods and Service Tax (GST) and also need to open a current account in the name of his petrol pump. So in this way you read that applicant has to go through a very complex process to get the license of Petrol Pump, and if an applicant becomes eligible for the petrol pump then he needs a lot of money which is not an easy task for every person. But if the applicant gets the license; it’s a win-win situation for the coming generations too. Note:Information given in the article is subject to change as per the latest policy of the oil marketing companies. Which benefits and rights you are entitled to at Petrol Pumps in India?